In this episode, we’re going to do something a little bit different. I’ve only recently been running a series of videos on Facebook all about property strategies. Some of you, a few of you have been in touch. So, there’s been great information. It’ll be really good to be able to access it more easily. So, I thought the podcast, it’s pretty easy. You can just go down sort of a list of contents, and you’ll find it. Because I fully understand it, when something goes on to Facebook, it usually just, sort of, disappears after a bit, isn’t it? Facebook are very selective about the group you put your post in front up. That made me realised that although it’s great series, maybe, not that many people have actually seen my posts. So, I thought I borrowing it onto the podcast, then we can all benefit from it, and enjoy it. It’s kind of like, an archive, isn’t it, to be able to find it in the future, should you wish to do a bit of a refresher on property strategies? The first 2 videos, which I did, were, all about buy-to-let. It’s all about vanilla buy-to-let, and all about BRR, and how to use BRR to buy buy-to-lets, and to refinance, and get your money back out. So, I’m going to try and scrape the audio of my videos, and I’m going to bring it here, and put it into this podcast. I say me, I’m going to have a go. But I’m going to need quite with a lot of help from Harry, the tech guy. But we’ll do what we can. I’m sure, it’s going to be fine. So, you’re going to hear a reference to, in this video, just ignore that. You’ll understand why. Hopefully, you’re going to find this really useful. 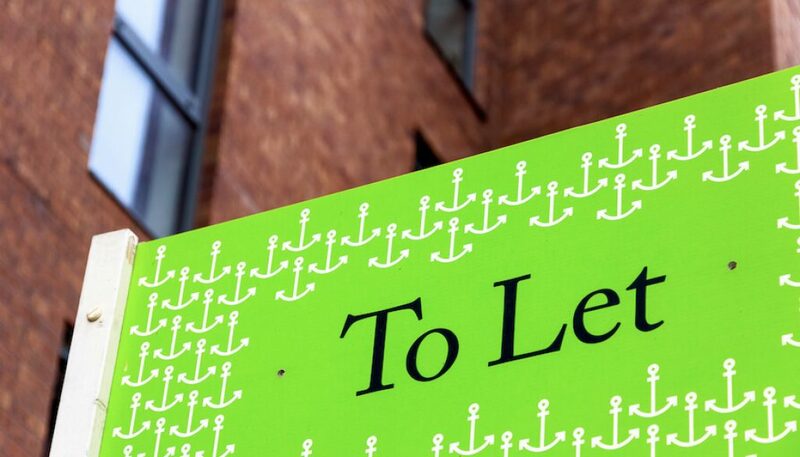 Now, if you’re not into buy-to-let, don’t switch off. Because what I would say, is, although this is foundational information, it’s not basic information. When you understand the foundations, you can then build your property empire upon that. There’s a lot of great learnings, which we can actually take onboard through things like, vanilla buy-to-let, and BRR buy-to-let, which you can then apply to other strategies, and other types of properties. So, don’t just dismiss this, and think this doesn’t apply to me. Have a listen. So, I’m going to get the audio now. I’m going to put it here. You’ll hear it. It’ll be an episode. But don’t go away, because at the end of it, I’m going to give you a few more thoughts about buy-to-let, which I didn’t share in the video. So, let’s listen to the audio. This series of videos might be a bit of a refresher, if you’re an experienced investor. If you’re not so experienced, I thought it might be quite useful to go through all the different strategies, and (A) outline what they are, and (B) give you my take on what are the pros and cons of each strategy are. Even if you are more experienced, it might be worth watching this, anyway. Just to refresh your memory. Also, because things have changed. I know that when I started out in property, I was pursuing a particular strategy. I, now, have 3 or 4 different strategies, which I look at in property. Things are changing the whole time. The market changes. The law changes. The way we do things changes. So, strategies, I supposed, come into fashion and strategies go out of fashion. What worked last year may not work next year, and vice versa. What wasn’t working next year, maybe, perfectly good next year. So, it’s worth keeping an eye on different strategies, and not dismissing any. But we’re going to start right at the bottom of the pile as it were with buy-to-let. Now, I don’t mean bottom of the pile in terms of not being a great strategy. But it’s probably the most simple strategy. But even then, there are nuance to it, because I’m going to talk today about very basic vanilla buy-to-let. But there are more sophisticated ways of doing buy-to-let, which we’ll think about in the next video. But at the very basic level, buy-to-let, I guess, we’re just buying a property. It’s taking a tenant, and then collecting the rent. But even then, we have different choices. Are we going to buy a property using a mortgage, or are we going to buy the property using 100 percent cash? The problem for most people with that approach, would be actually saving 100 percent cash. Even a cheap property is going to cost a relatively large amount of money. At the moment, it’s possible probably, to go up North, and buy a house for £50,000, £60,000, £70,000, which in the scheme of things compare to say, London prices, isn’t that much. But for most people to save £70,000 cash is going to take them a long, long time, unless they’ve got a mega job, you know, earning perhaps, bonuses of £1 million in city. For most of us, it’s going to be very, very hard. So, for most of us, we probably are going to be using a mortgage. In which case, we’re probably going to be starting by saving up for the deposit. Another nuance could be, whether we use interest-only, or capital repayment mortgages. Now, the received wisdom, is that, if you’re an investor, you want to use interest-only. There are many, many reasons for that. I’m not going to even go into that now, because I could make a video about that. Maybe, I’ll make a note. I’ll do a video about that. But there are many, many reasons why when you weigh the pros and cons, probably, an interest-only mortgage just outweighs capital repayment mortgage. But for some people buying a house, taking a tenant in, and using capital repayment mortgage is a great way of using it almost as a savings plan. This is one of the great things about property, which I think perhaps, not everybody realise this, but the tenant is effectively buying the property. Why? Because, if the rent is greater than the mortgage, and let’s face it should be, or else you probably shouldn’t be buying that property. Then effectively, the tenant is paying the mortgage for you. The tenant is buying the property for you. So, if you take out a 20-year capital repayment mortgage, for example. by the end of the 20 years, the property is paid off. It’s unencumbered. In theory, that might be a good thing. Actually, I don’t think it is. But again, maybe that’s something for another video. That is a fairly basic strategy. Another nuance on this, could be buying your properties at what we could call, below market value. Now, to some extent, it has a bit of triad term, what does that actually mean? What is the value of a property? Well, we could argue that the value of a property, is, the amount that somebody is prepared to pay for it. Actually, if you talk to the RICS, and look at Royal Institute of Chartered Surveyor definition of open market value, they won’t actually concur with that. But for our purposes, that’s good enough. So, we’ll be getting some antics about what below market value is. But we can all agree that it’s probably a good thing to buy a bargain property, or to try and buy as cheaply as possible. Because if we can buy as cheaply as possible, that will increase the return on our money invested, whether that in a deposit, or whether we’re buying it 100 percent for cash. So, a nuance on this could be buying a property at the best possible price and negotiating very hard. Another nuance though could be, that we just pay almost the asking price. Now, why would somebody do that? Well, I think this is one of the interesting things about property. Not everybody who goes into property. Not everybody who wants to buy property, necessarily wants to be a sophisticated investor in that sense. By sophisticating investor, I don’t mean, the FCA definition. But I mean somebody who’s sort of thinking about how to get every last point of a percent of return for their money. Some people are just happy to buy property and put their money in, and use the property as a place to store their money. If you go through the Sunday Times Rich List, for example, you’ll see many examples of people who’ve made their money outside of property, but they actually store their wealth in property. So, we can see that with what we could call, vanilla buy-to-let investing. I was talking to an estate agent contact of mine, who’s based in Nottingham a while back. He was telling me he has a list of investors mainly, based in London, who he sells properties to. I was asking him about that. I was saying, well, how much do your London investors want to buy way of a discount when they buy a property off you? He looked at me a bit blankly. He said, I don’t give them a discount. They pretty much pay me full asking price. I looked a bit baffled at that. He said, well, a lot of them, they just want to park their money somewhere safe. As long as I can say, this is a good house in a good area, and it should rent okay. If I can give them to that comfort, they’ll buy the property at almost full asking price. Then they’ll just use it to store their wealth. They’re not bothered about getting 25 percent off market value, for example. They just want to spend £70,000, £80,000, £90,000 on a property, which is going to yield them 6, 7, or 8 percent. For many people, that is good enough. That’s why for some people, if you want to buy one or 2, maybe buying the house next door, maybe buying a house in the adjoining street so that you can manage it. Maybe, buying a property at almost full asking price. Maybe, you offer 5 percent below asking price, and you think you’ve got yourself a deal. That’s good enough. But there are other things that we can do, which make buy-to-let investing far more nuance and far more exciting. I won’t be looking at that in the next video. But, if you just want to put your money into property, if you just want to store your wealth in property, if you just want to have a tenant paying down your mortgage for you, all of these are good things to consider. So, you saw on the last video, that the basic level of investing could be just buying a property without much thought, putting a tenant in, and collecting the rent. There are reasons why some investors may want to do that. After all, we’re all very different. Not every investor wants to join the portfolio of 50, or 100, or 500 properties. They just want one or 2, maybe, just supplement their pension, maybe to supplement their income, and good enough is good enough. They don’t need to think about it at any great depth. But we can actually, take it further than that. Well, my favourite strategy in buy-to-let involves using BRR, buy, refurbish and refinance. Now, BRR is not actually a specific buy-to-let strategy. It’s a technique for buying properties, refurbishing, refinancing and recycling your money back out, which you can use with many of the strategies. Buy-to-let included. But you could also use it, for example, with HMOs. You could use it with commercial property. But when you combine it with buy-to-let, it works really, really well. This is how many successful buy-to-let investors have built large portfolio. Because the essence of BRR investing, is, to find the property, where you can add value. Usually, that’s by way of a minor refurb, which is very easy. Maybe, just putting in a new kitchen, a new bathroom, giving it a lick of paint, new carpets. Maybe, new windows, if it needs it. There may be other incidental bits and pieces, which arise as and when you start doing the refurb, which you might not have known about on day one. But that would be the essence of it: kitchen, bathroom, redecoration, carpets. By adding the value, you can then refinance the property, and hopefully, recycle all or most of your money back out. In order to make the margin even greater, to make it even more likely that you will get all or almost all of your money back out, you can buy the property slightly cheaply. So, for example, a property might be on the market for £80,000. That was on the £80,000, because if it’s in good condition, and it would be refurbished, it might actually be worth £100,000. But the price has been discounted to reflect the works. If you can buy that property for say, £65,000, and spend say, I don’t know, £7,500 on the refurb, which actually is very doable. Sometimes, when we talk about the figures, people are surprised that you can do a refurb so cheaply. A lot of it comes down to knowing, how to find your contractors and tradesmen, and how to buy the materials. But yes, it is possible to do it. probably, much more cheaply than you might have imagined, if you’re new to property. If you can spend say, £7,500 on top of £65,000, you will then end up with a property, which is worth £100,000. If you can then get 75 percent or even 80 percent loan-to-value mortgage on that, you’ll be able to get most, if not all of your money back out again. That’s pretty much it. That’s how BRR works. Now, it doesn’t necessarily have to be a refurb. There may be other ways, that you can add value. So, again, a tweak on buy-to-let particularly in areas, where BRR is tough. BRR is tough in areas, where properties have got a higher value. Because the upper end of the range, currently as I record this video, is probably, around about £150,000. Why? Because the banks have introduced what they called, stress testing. But stress testing is a way basically, banks come up with a notional interest rate, and then multiply that by 125 or 130 or 145 percent over and above, and the rent has to be greater than that notional interest rates, not the interest you pay, by the way. It’s just the interest rate, they use for calculating, whether the property stacks up or not. That’s going to limit the top end of the market, the top value of property, that you can actually buy using a strategy. It’s probably about £150,000. So, properties around £150,000 mark, perfect. As I’ve said, it doesn’t necessarily have to be the refurbish, you can do other things. If you’re buying an area, where property values are higher, or where you’re going to struggle to do BRR, then maybe combining with something like, title splitting, where perhaps, you buy a house and turn it into 2 flats, or buy a house and turn it into 4 flats. If you do the figures, you obviously have to run the figures, and make sure they stack. Maybe, that would make this strategy work, where you are. Otherwise, you may have to go and buy in a cheaper area, where the figures do stack. But, if you’re not going to do a refurb, it could be that you do some kind of development. It could be doing a title split. It could be something as simple as turning a one-bed room flat into 2-bedroom flat. How? Well, I know that investors in London and other big cities have done this by basically taking the kitchen out of the kitchen and putting it into the living room. So, it becomes like an open plan living area, and turning the kitchen into an additional bedroom. Although the floor area of the property hasn’t changed at all, because in this country we tend to calculate value by means of number of bedrooms, then the valuer is probably going to value it as a 2-bed, and not as one-bed even though the size hasn’t changed. So, there’s all these tweaks that we can actually make a property, which might make the whole BRR thing actually work better, depending on where you are. But at the basic level, a minor refurb and then refinancing, and yes, you can buy the property using a buy-to-let mortgage. It’s a little bit tricky, because buy-to-let lenders generally want properties to be what they call, habitable. Now, by habitable, it doesn’t mean pristine. It usually means it’s got a working bathroom and kitchen, even if the kitchen and bathroom aren’t up to scratch. Some banks will accept it. Some valuers will be okay with it. Some banks won’t accept it. Some valuers won’t be okay with it. So, it’s a little bit of a lottery. But that can work as well. Or, another way of doing this, can be to actually buy the property 100 percent for cash. If you borrow 100 percent of the funds, do the refurb, and then refinance, the banks probably going to be happy with that. Ironically, if you only borrow, let’s say, the 25 percent deposit so you’re getting at 75 percent loan-to-value, then you’ve borrowed the 25 percent deposit, unless you’re borrowing off a close relative like, a grandparent or parent, the banks probably won’t be happy with that. Strange, isn’t it? They’re happy, if you borrow 100 percent of the money, and then refinance later down the line. But they won’t be happy, if you borrow 25 percent of the money, and then take out a mortgage with them. Strange things with banks. But as a general rule, the BRR Model is fantastic. As I say, once you get your head around it, once you understand it, you’ll be able to see this. It’s very powerful, because you can use it for other strategies as well. So, there we are. I hope you’ve enjoyed that. I hope you’ve found that useful. But I just want to add a little bit more at the end. Because then often quite a lot of concern and confusion as to how one could get the money to get started in buy-to-let, or even BRR buy-to-let. A couple of ways, which I didn’t actually mention in the video. So, this is like, a bonus section for anybody who’s listening as a podcast, is this. The way that I started, when I started back in so many years ago, I can’t even count out now, was, to take equity out of my home. Now, I know that, that’s not for everybody. Not everybody wants to do that. Some people considered taking equity out of their home, they feel that it’s a little bit risky. I didn’t feel that. I felt that it wasn’t actually like I was going to go off and spend the money I’d never see it again. I was actually just transferring the equity from my home into other assets. That became the seed capital, which has allowed me to grow a substantial portfolio. It maybe that you’ve got other assets. If you’ve got other properties, you can may be take equity out of your other properties, if you’ve already got some buy-to-lets to keep your growth and your momentum going. By the way, I think most banks nowadays, even with the sort of more stringent rules that have come in over the last couple of years, would be quite okay with you using equity from your home or from other assets to use as the deposits on other properties. So, you could take, say, I don’t know, for argument sake, say, £100,000 out of your own, and you can maybe split that into 4 deposits. So, £25,000 each to buy 4 £100,000 properties. That could be a great way of boosting your portfolio, and accelerating your growth. Maybe, something worth thinking about. Another way that you could get into BRR, and you could finance your deal, is, by using bridging. Now, if you’re not sure what bridging is, bridging, a bridge, it refers to bridging the gap between buying the property, and then putting that property onto conventional finance. So, it’s usually a short-term loan. A great thing about bridging, is that, a lot of bridging companies who’ve lend these types of loans are backed by private finance. They’re not mainstream banks. That means that they can be very flexible. Very often, they’re prepared to look at the deal much more than they’re looking at you, which means that, if you don’t quite meet bank criteria, you might meet bridging criteria. Almost certainly, you’ll find a bridger out there who will lend to you. Because they’re not going to o be bothered about your salary per say. they’re not going to be looking at, whether you own a property. For example, many buy-to-let lenders might want a minimum income. They might want you to won a property. Lots of bridgers would probably overlook that. They’re probably not going to be so concerned, if you’ve got a county court judgement, and all that kind of things. They’re very flexible. They’re looking primarily at the deal. They can get you the money very, very quickly. But the downside, is that, bridging is inevitably and invariably, very expensive. So, it could be over one percent per month. Why would you buy something using finance that’s over one percent per month? Well, because, if the figures stack up, and if it allows you to do a deal, which you won’t otherwise be able to do, then it’s got to be worth doing, surely. But the key thing, is, to know how you’re going to come off the bridge, and how you’re going to go back on to conventional finance. Because when people get into trouble with bridging, invariably, it’s because they haven’t worked out, how they’re going to come off the bridge, and how they’re going to go on to conventional finance. If you find yourself trapped in a bridge after you get to the end of the bridge period, which could be 3 months, 6 months, 12 months, 18 months, whatever it is you’d agreed, if you haven’t paid the loan back, or if you can’t pay the loan back at that point, there will be penalty rates. If you think that the basic rate is probably one percent a month, or 1.25 percent per month, you can imagine the penalty rates are going to be quite sickening. That’s why people get themselves into trouble. So, just make sure that you’re working with a good broker. My broker who understands all this kind of stuff, he’s going to help you get onto the right conventional finance. Now, most of the time, you’re going to come off the bridge, and go on to something like, a conventional buy-to-let loan. So, I hope you’ve found that helpful. In the next podcast, we’re probably going to look at some more strategies, and we’re going to look at how to find our deals as well, which will be very exciting. Peter Jones is a Chartered Surveyor, an author and a serial buy to let property investor. He has been involved in property for over 30 years having graduated from the College of Estate Management, Reading University, and then qualifying as an Associate member of the Royal Institution of Chartered Surveyors in 1983, before being elected a Fellow in 1992. By the age of 35 he was a Salaried Partner in a well respected firm of Chartered Surveyors, and was managing partner of their West End of London Office. His specialty was commercial property but during the recession of the 1990’s his specialisation became redundant, and so did he.